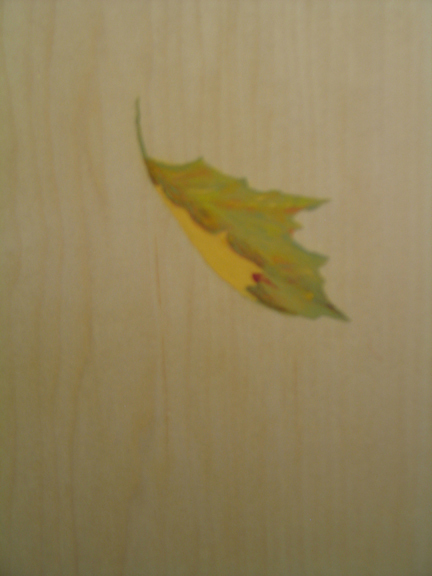 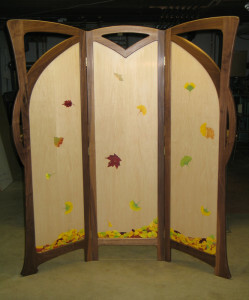 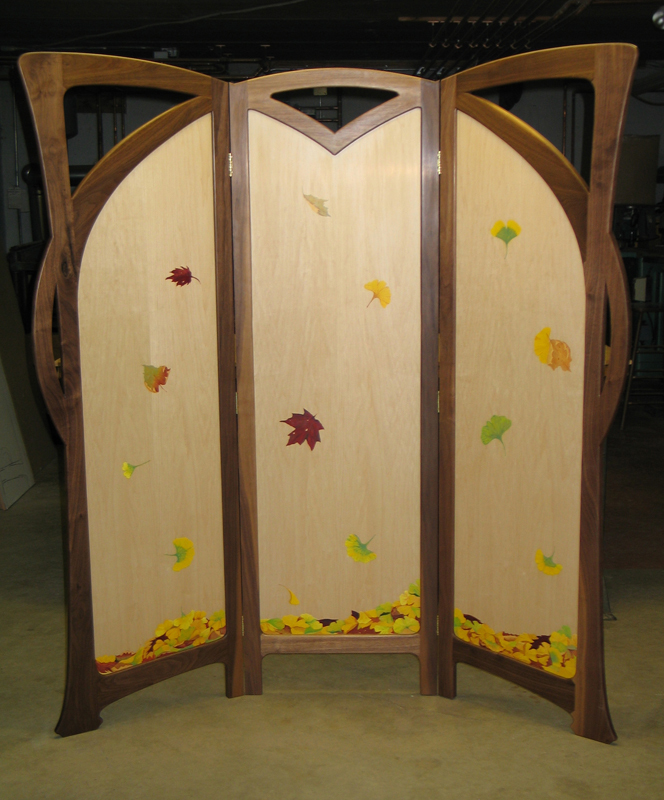 The reverse side of the screen is painted with falling and drifting leaves. Detail of a painted leaf on the reverse side of the Art Nouveau screen. 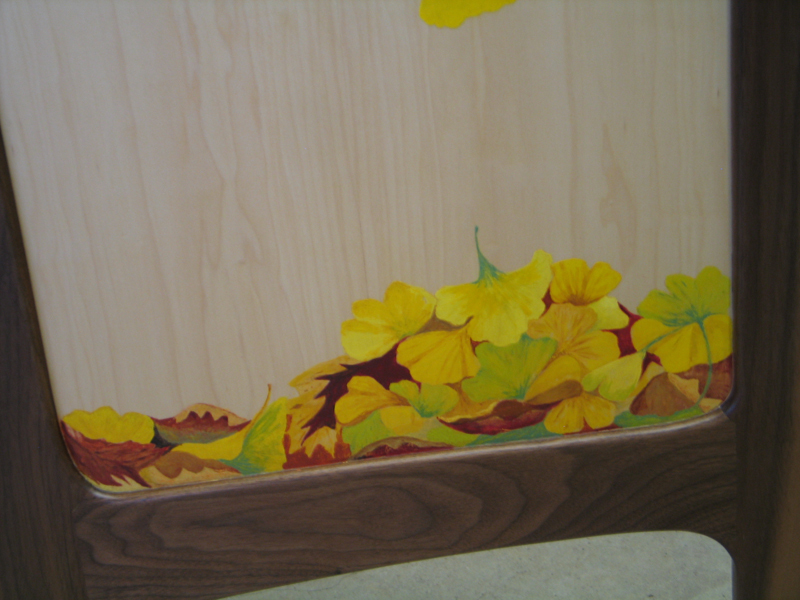 A pile of fallen leaves on the reverse side of the panel. 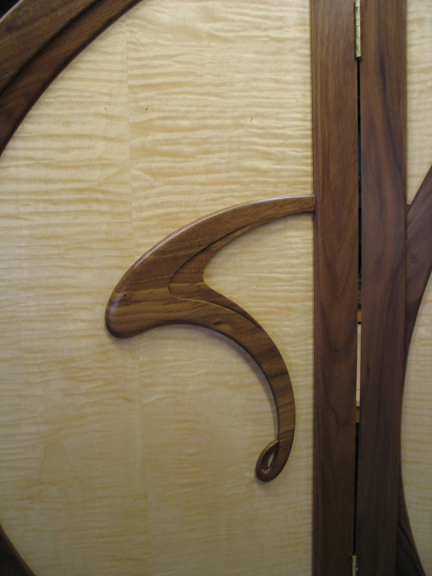 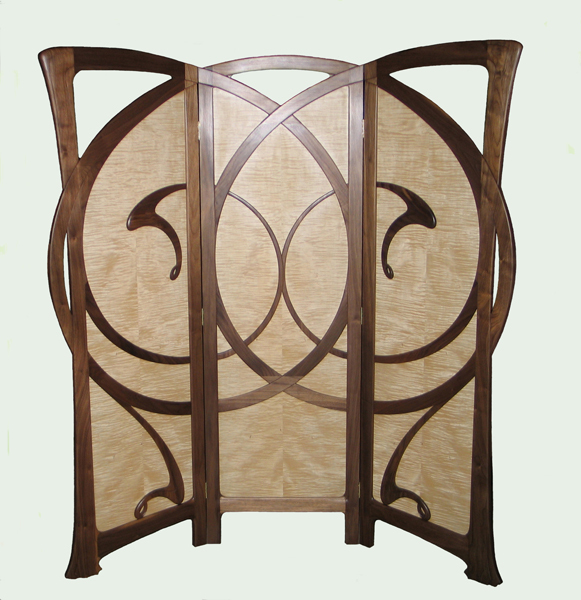 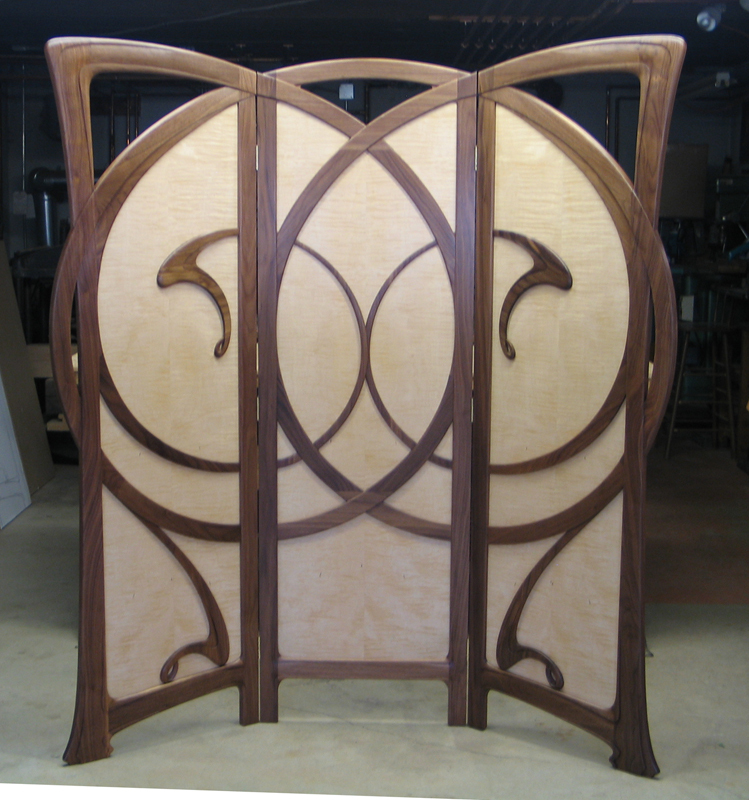 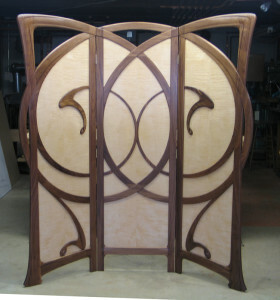 A detail of the black walnut carving on the front of the Art Nouveau screen. 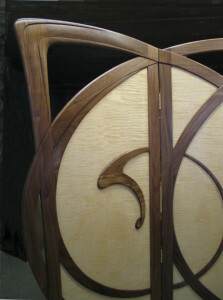 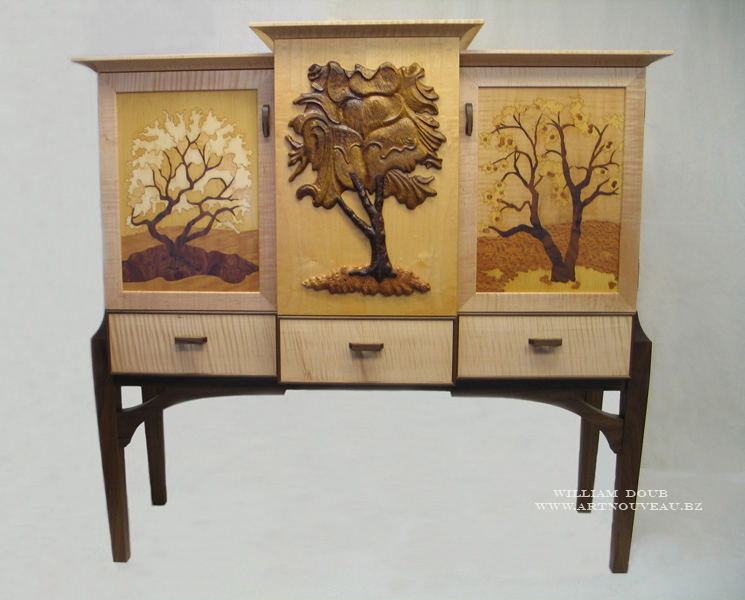 The finished screen before painting and varnishing.